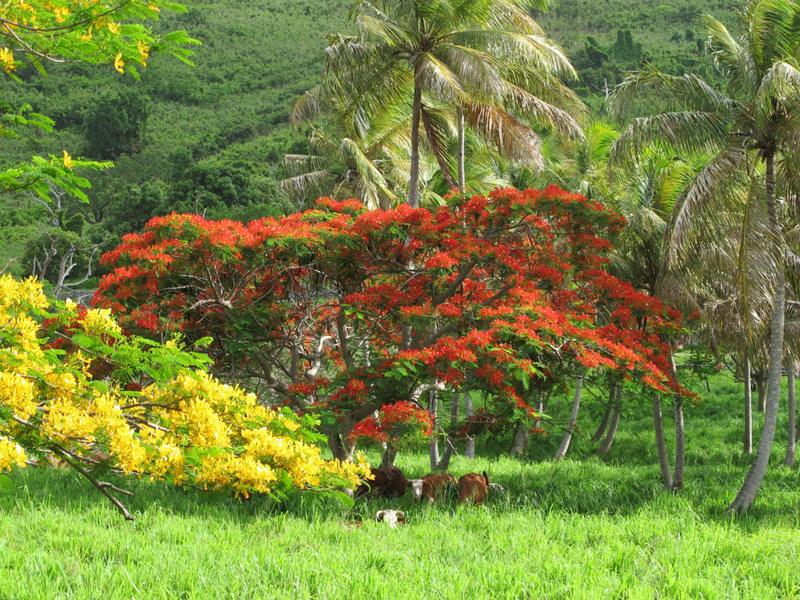 Each Summer in Colombier valley, one can only marvel at the vibrant beauty of Nature : Flamboyant trees (or Flamingo trees or July trees) in full bloom, vivid reds and yellows contrasting with the greenery, and cattle grazing peacefully in the shade. Chaque ete dans la vallee de Colombier, Les Flamboyants (ou arbres de Juillet), nous offrent la splendeur de leurs feuillages rouges et jaunes, contrastant avec la verdure des alentours tandis que le betail pait a l’ombre, en toute serenite . 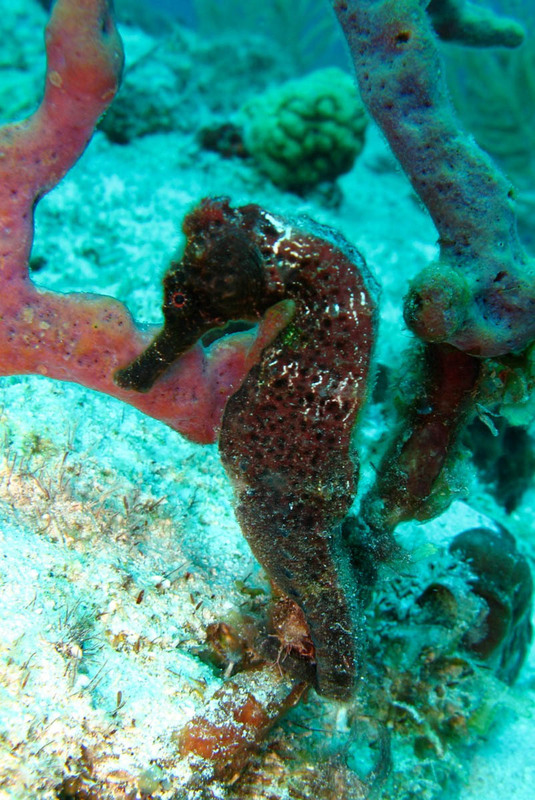 A Tiny seahorse is grasping a piece of sponge with its tail to fight the current off Simpson Bay beach. Pollution is threatening our Oceans and its inhabitants, just like anywhere else in the world. It is up to us to take care of our Nature, for example by keeping our trash down and banning plastic bags. Un petit hippocampe s’agrippe avec sa queue a un morceau d’eponge pres de la plage de Simpson Bay. La pollution menace nos Oceans comme partout dans le monde. Il n’appartient qu’a nous de les proteger, par exemple en reduisant nos dechets et renoncant aux sacs platique.